The Change School Ready For A Career Change? Studies show that as many as 80% are dissatisfied in their jobs (Deloitte 2016). Career change takes courage and stepping out of one's comfort zone – so how can we better manage career transition? 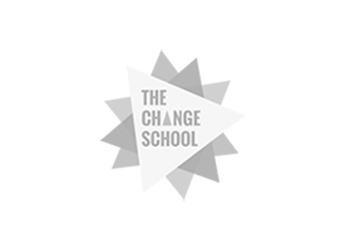 Earlier this month, I attended The Change School’s Change Talk event on Career Change: De-Risking Career Transition. The evening saw a good mix of participants, with some looking for “what’s next”, having just thrown in the towel whilst others were stuck and in need of a push in the right direction. Lydia Lee from Screwthecubicle – Business Freedom Coach – was the guest speaker for the night and shared some insights on 3 key risks and challenges: Financial, Identity, reputation. Reputation – being answerable to your family and also, how to cope with naysayers. Turn to the “right” group of people who will support your passion. These are the people who will keep you going when times are tough. Following Lydia's sharing, the group broke into smaller discussion groups – Reflective Circles. Solonia Teodros, co-founder at The Change School asked: "What is the first word that come to mind when you think about career change?" For the optimists in the room: “Excitement”. While the more risk-adverse ones answered: “Financial [uncertainty]”. This conundrum seemed to be the key push and pull factors for every aspiring career changer. We concluded that we were our own greatest obstacle to moving forward. In our discussion, we coined the term "time/money trade-off": being stuck in our jobs meant that we had money but no time; and conversely pursuing our passion was perceived to mean having more time but no money. If we are our own greatest obstacle, then the first forward step is to tame that fearful child inside us – by incorporating the steps above and leading ourselves. There was great energy in the room as we brainstormed the obstacles and solutions to career change. We left the session feeling inspired to take little steps towards change - towards a happier, more fulfilling career. What I enjoyed most about the session with The Change School was the people they brought together that evening. One participant shared that her colleagues often looked so put together and happy, while she felt like the only one feeling visibly dissatisfied in her job. Just being around others who were also seeking change in their careers gave her greater affirmation. Another participant found the reflective circles and 3-step process for learning to be a great framework to create constructive next steps and move forward. It also allowed for more interaction among participants and for everyone to be engaged in the learning process. Till next month, I’ll be working through the steps of my own career progression and hope to see you at the next Change Talk on Physiological Change: Self Care!